IT WAS a horrific scene – like something right out of “The Killing Fields” but instead of decaying corpses and scattered bones there was tattered felt and torn fake fur – ripped open with its foam innards grotesquely exposed. Thousands of Muppets – every single Muppet that ever existed – from Mr. Snuffleupagus to Miss Piggy, Dr. Teeth to Guy Smiley and every one in between – had been thrown into a landfill. Even the ones you and I don’t care about, like the “Fraggle Rock” Muppets, since we never watched that show. Them too! Onto the trash heap! Atop these lifeless carcasses was tossed all the blueprints (or patterns, or schematics, or whatever the hell they call them) for when, like, a Muppet wears out and they need to make a replacement Muppet of that Muppet, sure. And on top of all that, all the masters to every episode of “The Muppet Show,” the original negative from “The Muppet Movie,” all of the scripts, every single neat little drawing Jim Henson ever doodled when coming up with an idea for a new Muppet, those little rods to move the “dead-arm” (Muppeteering term) Muppets’ limbs, Bert’s paperclip and bottle cap collection, everything Muppet. They were going to douse it all with gas, set it ablaze they were, and plow it under. After it was gone, there’d be no record that something called the Muppets had ever existed. And by God, it very nearly happened. And so the Muppets were saved! At least that’s the impression you’d get from just about every major article heralding the upcoming new Muppet film. Apparently the Muppets have been completely forgotten for the last ten, fifteen, twenty years – you and I haven’t thought of them at all much less seen them, the articles tell us, and neither has anyone else, anywhere – but now suddenly with this new film coming out, the Muppets are finally back! They’ve been rescued from oblivion, thank heaven! Hey, gang, remember those things called the Muppets? No? Think, think hard – Muppets. Yes, you remember now! Yeah, well, I know it’s been forever, but they’re making a comeback! Can you freaking believe it?! The Muppets were gone – completely disappeared off the face of the earth! – but now they’re back! …Except that angle, that approach, that tack, if you will, doesn’t that basically just piss all over everything the Muppets have done over the last number of years? Isn’t that a regular hai-ya! to the crotch of about two decades of Muppet history? That is, if you could personify the concept of about two decades of Muppet history as having a crotch. I think if you did, it would have ping-pong ball eyes. And possibly a long foam nose. You see, I looked into this – I did – and it seems the Muppets never actually went away. Turns out Muppets have continued to appear regularly on “Sesame Street” – the Sesame Street Muppets, anyway. Oh, sure, the show is pretty Elmo-centric these days, not enough Roosevelt Franklin for your and my tastes (a complaint we’ve had since 1975), but the show’s still on, with, yes!, Muppets on it. Also, hold on to your hats: The Muppets have appeared as well in online videos, theatrical films, TV movies, game shows, talk shows, reality shows, and commercials. All that said, I’m really excited about the movie! Hey! The Muppets are back! 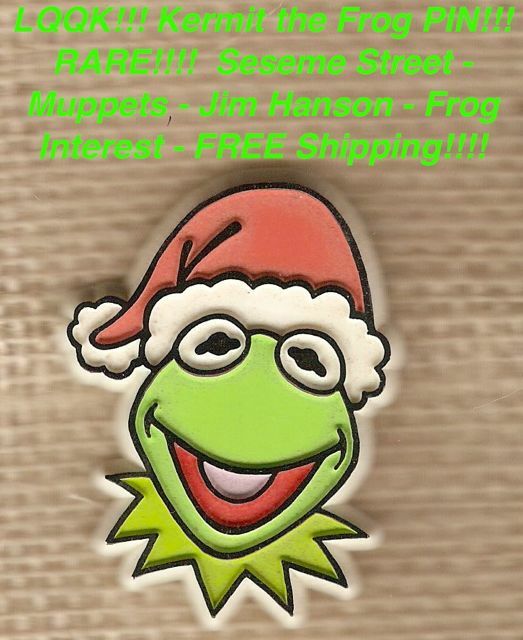 But I’m even more excited that this artificially renewed interest in the Muppets will result in all that vintage 70s Muppet Show-era crap I’ve been hoarding going through the roof on eBay. Bid early and bid high! Posted by Ted on November 11, 2011, 4:09 AM.